DEEPFREEZE: The Michigan Economic Development Corp. has increased its assistance by $1.6 million to assist more than 30 communities in the U.P. and Northern Lower Peninsula pay for last winter’s repair of infrastructure, such as sewer lines and roads. That brings the total grans to $7.6 million. Recipients include Marquette, Sault Ste. Marie, Ishpeming and St. Ignace. We hear from MEDC, St. Ignace and Marquette officials. By Ian K. Kullgren. FOR CHEBOYGAN, PETOSKEY, HARBOR SPRINGS, ST. IGNACE, SAULT STE. MARIE. MARQUETTE, BAY MILLS & ALL POINTS. 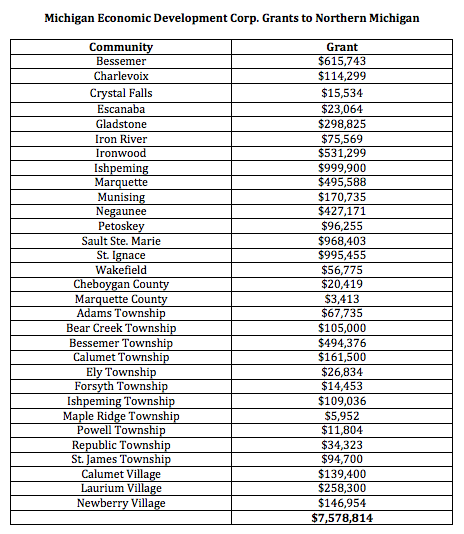 w/DEEPFREEZETABLE: Northern Michigan communities receiving Michigan Economic Development Corp. grants. ONLINECOURSES: A new system will allow students anywhere in the state to take online courses from any of the state’s 28 community colleges. We hear from the Michigan Community College Association and Alpena Community College. By Jordan Bradley. FOR ALPENA, MICHIGAN CITIZEN & ALL POINTS. UKRAINE: The victory of pro-European parties in the recent parliamentary election in Ukraine is inspiring hope among Michigan’s Ukrainian residents that the country will eventually join the European Union. The Communist Party won’t have a seat for the first time since the country’s independence from the Soviet Union. We hear from Ukrainian-Michiganians in Troy and Warren and an MSU expert in Eastern European history. By Amanda Proscia. FOR ALL POINTS. COMMUNITYCOLLEGEINTERNATIONAL: For international students, the state’s community colleges can improve English-language proficiency and provide academic courses at affordable tuition to prepare them to transfer to four-year institutions. They also expose local students to global perspectives. We talk to the Michigan Community College Association, Northwestern Michigan College and Oakland Community College. By Qing Zhang. FOR TRAVERSE CITY, MICHIGAN CITIZEN, GRAND RAPIDS BUSINESS, MANISTEE, CADILLAC & ALL POINTS. DAMFAILURES: The recent failure of a DNR-owned dam in Emmet County puts a spotlight on the rest of the state’s aging inventory of water control structures. Eighty-eight dams in Michigan have received “high hazard” status following inspections. Four high hazard dams are owned by public agencies: Otsego and Trowbridge dams in Allegan County; Hamilton dam in Flint; and Boardman dam in Grand Traverse County. DNR experts explain. By Amanda Proscia. FOR PETOSKEY, HARBOR SPRINGS, TRAVERSE CITY, HOLLAND, CADILLAC, MANISTEE, CHEBOYGAN & ALL POINTS. BATMANHELPSBATS: Hollywood superstar Ben Affleck and other members of the crew making “Batman v Superman” took time from their Michigan filming schedule to make a public service announcement about the threat facing bats from white-nosed fungus. A big bat die-off could add billions of dollars a year to farm expenses for pest control. 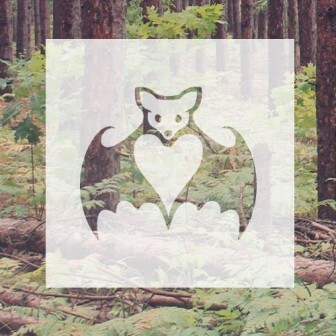 They worked with the Bloomfield Hills-based Organization for Bat Conservation. By Kevin Duffy. FOR ALL POINTS. w/BATMANHELPSBATSPHOTO: Credit: Organization for Bat Conservation. ENVIRONMENTALCRIMES: A Detroit man’s 27-month prison term for Clean Air Act violations reflects growing worry among federal agencies that the state’s economic recovery may lead to more environmental crimes. Ironically, that’s because the improved economic climate is spurring more projects involving demolition of old structures and redevelopment of contaminated industrial sites. 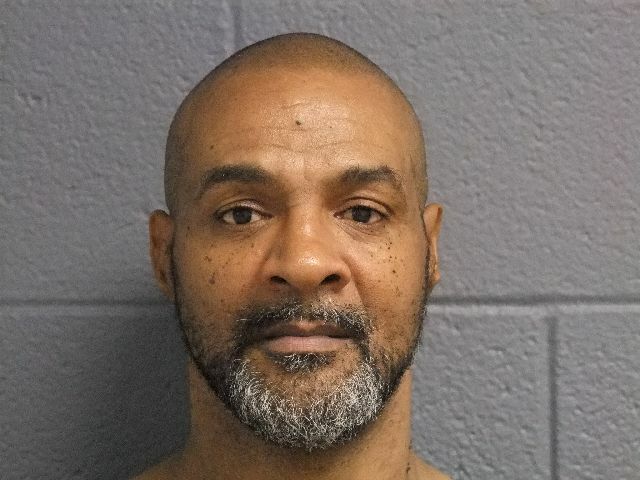 Other recent prosecutions came in Bay City, Allegan County and Metro Detroit. EPA and Justice Department officials explain. By Eric Freedman. FOR DEADLINE DETROIT, MICHIGAN CITIZEN, HOLLAND, GRAND RAPIDS BUSINESS & ALL POINTS. CITYATTORNEY: A federal appeals court has refused to reinstate a racial discrimination suit by the former Inkster city attorney, who is white. The predominantly African-American city successfully argued that the new outside law firm is more experienced and submitted a lower bid. Municipal law experts say local governments are increasingly seeking bids to save money on legal services. By Eric Freedman. FOR MICHIGAN CITIZEN, DEADLINE DETROIT, GRAND RAPIDS BUSINESS & ALL POINTS. LANSING — Diving isn’t the only way to get an in-depth look at the mysteries beneath the surface of the Great Lakes. Lasers, underwater robots and other innovative technologies are simplifying the discovery of and research about hundreds of shipwrecks at the bottom of the Great Lakes.